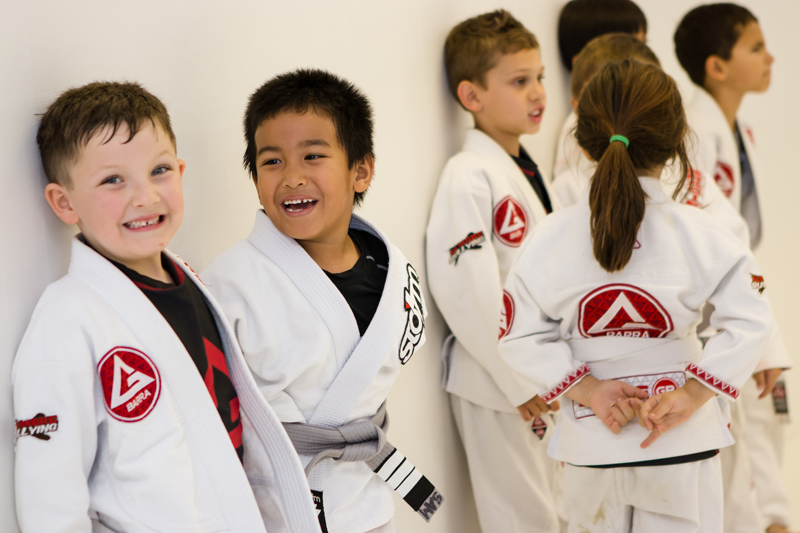 Gracie Barra Garden Grove follows all standards and benchmarks for belt promotion through the system created by the International Brazilian Jiu Jitsu Federation (IBJJF). 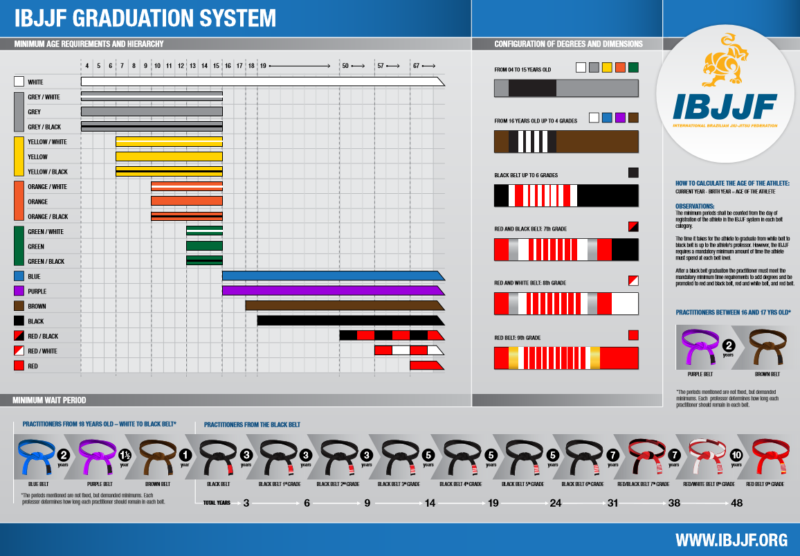 To read more about the IBJJF graduation system, visit www.ibjjf.org. There are two types of promotion a practitioner can receive, stripes and belts. Stripes are a way to motivate a student and let them know that their hard work is not going unnoticed. These promotions are often an unexpected surprise which encourages every student to always strive for personal progress in their understanding and practice of the art. 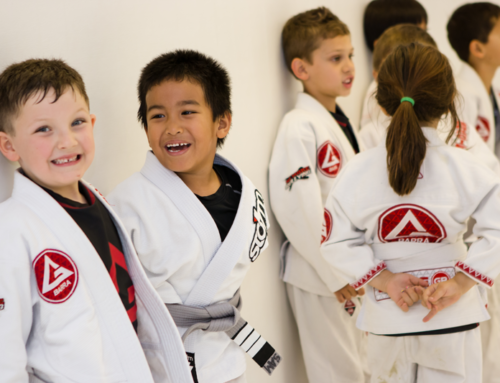 It can also serve as a guideline for experience and skill level in large academies so the professor can create more balanced and constructive sparring matches for students of the same color belt. Adult Brazilian Jiu Jitsu practitioners at each belt commonly possess traits that display a distinct level of proficiency. 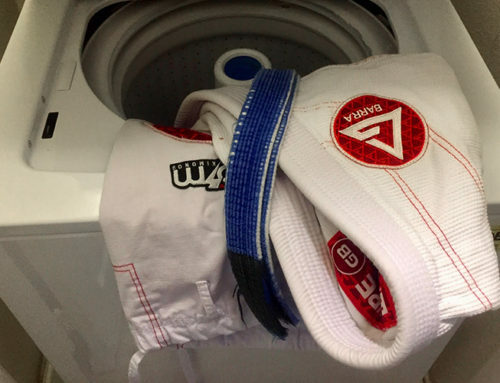 A white belt, as in most martial arts, represents a beginner in Jiu jitsu. The student has a lot to learn at this level, from fundamental techniques to core philosophies of Jiu Jitsu. Skill level and time to promotion can vary from six months to two years depending on physical/athletic abilities, prior experience in martial arts and dedication to the art. A blue belt is comfortable with the basic movements and techniques in Brazillian Jiu Jitsu (BJJ) and can effectively defend themselves on the ground against untrained opponents. This is often a very formative period in a Jiu Jitsu practitioner’s journey, as they are now considered mostly “street safe” and begin to develop a personal style. A purple belt is a sign of someone who is becoming very effective in grappling. This is perhaps one of the hardest belts to achieve, as it takes a minimum of two years to acquire the belt due to the amount of refinement one adds to their technique. A brown belt is an elite grappler who is planning their transition in to a black belt. 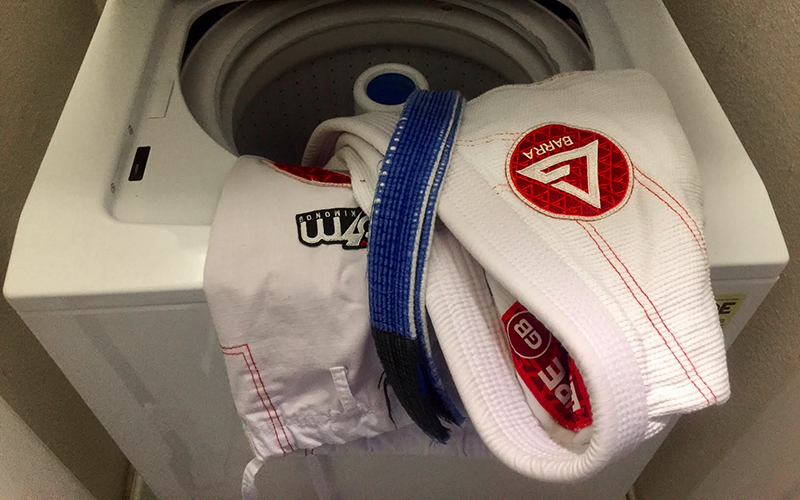 Brown belts possess a solid all around game plan, as well as a specialized set of “bread and butter” techniques. They also excel at the mental aspect of Jiu Jitsu by setting up their techniques and laying traps for unwary opponents. A black belt is the gold standard for any Jiu Jitsu practitioner and is a title only a very small percentage of the population are honored by. Seamless transitions in attacks, a seemingly endless toolbox of techniques to use and a sharp mind able to analyze every situation in real time are all traits of a BJJ black belt. Although these masters of their craft have achieved a great feat, it is just the beginning for many as they begin to give their knowledge back to students of their own.